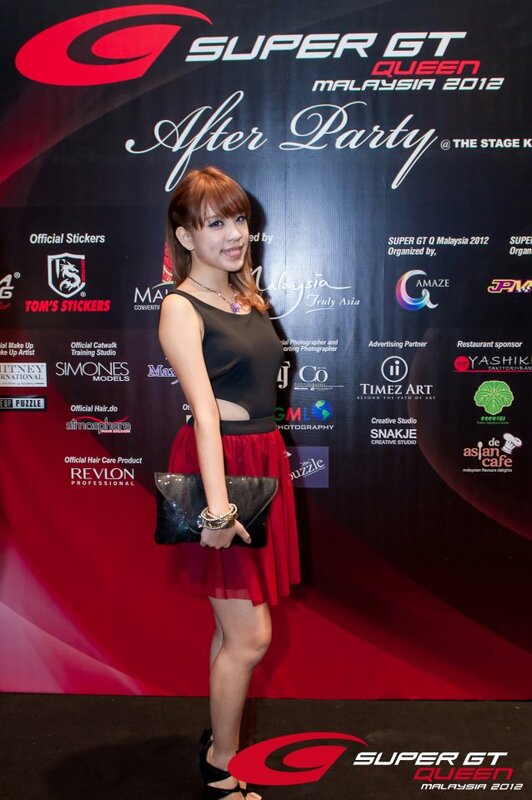 so...our after party was held last Saturday at The Stage @ Avenue K.
only five out of the twelve of us attended the event and i'd say those who missed it, u missed all the fun we had that night. we were presented a beautiful swarovski necklace by Jason & Berry of De Beads Enterprise who came all the way from Penang just to attend our party and present us the beautiful gift. i picked my favourite colour of purple and i love it much. the night started off with us taking pictures at the photo wall and hanging out outside saying hi to the guests. and then we proceed inside to have some drinks and finger food~ so i got to catch up with the people from TNT Kickboxing, De Asian Cafe, JPM Motorsports and all our other sponsors. then we were call upon the stage and asked by the emcee about our current on-goings and feelings. and then she randomly asked me to sing. so i sang to shiga lin's i'm still loving you chorus which i kan cheong abit so pitching got problem lah. hahahaha. and then it was the champagne popping and toasting ceremony with our sponsors and presenter. on this very night, everyone dressed up nicely in red black and white which is the theme colour for Super GT and Super GT Queen and there was the Best Dressed Awards for both male and female categories. there were lucky draw and prizes to be won. thanks to our sponsors - Kiss Me // Avira // SuperHeroes United // Revlon. throughout the night, our videos were played on the tv screens and looking back at them brings back alot of memories although it was only a month from semfinals till finals and a month later to the after party. yet there were so many fun memories. we partied and drank. we made fun of each other. we pulled each other up the stage to dance. 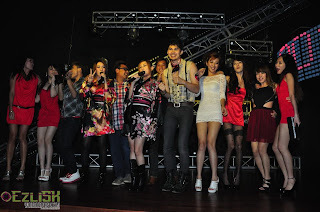 and now i'm proud to say eventhou i did not win anything i'm still the finalist of Super GT Queen 2012.
thankiew Tina. KC. Kenji. SGTQ Crews and Photographers. Judges. Amaze. JPM. 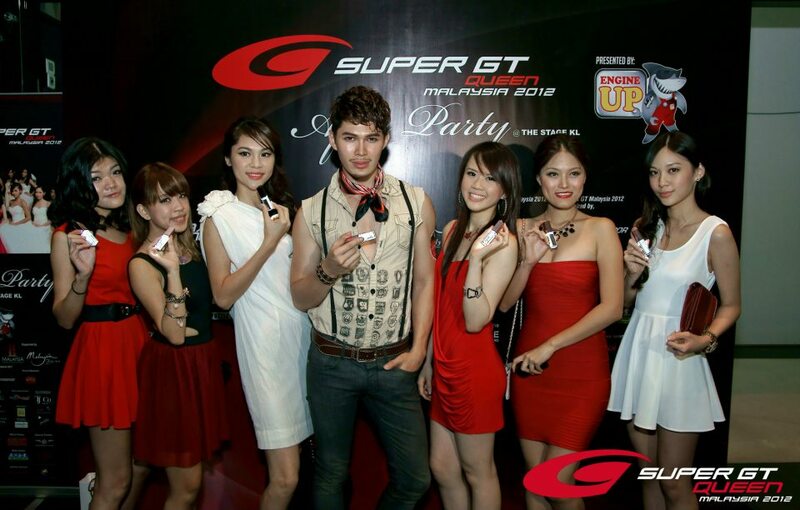 all the other eleven Super GT Queen finalist. and everyone who i miss out.